Seniors and Identity Theft: Help For Protecting your Elderly Family Members - Scarsdale Premier Insurance Agency | Advocate Brokerage Corp. Anyone is susceptible to identity theft but, there is one group in particular that is a frequent target: Senior Citizens. Every year, over 35% of identity theft claims come from those age 50 and over. Even worse, 11% of those over 65 have had their financial information stolen. 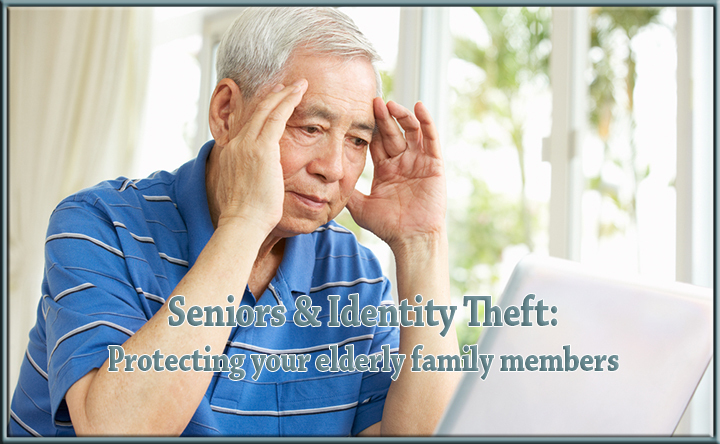 Seniors are often targets of identity theft for many reasons. First, they have higher cash reserves. Second, they are more trusting than younger generations. Although this trusting nature is a good quality to have, it can hurt when it comes to identity theft. They are more apt to fall for telephone scams. Seniors also are less likely to check their credit reports as often as younger generations. They aren’t as likely to be preparing to buy a home, automobile, or applying for credit cards as often as someone younger. This means they are much less likely to the see signs of identity theft. Often the crime isn’t identified until it is too late. Another thing that makes seniors a prime identity theft target is that they may be in the care of a nursing home or have an in-home caregiver. Since the caregivers have frequent access to seniors, it is easy for them to steal personal information and use it for identity theft. If a nursing home or at-home caregiver is involved, be sure to use a reputable company that performs background checks on all employees. Lock up documents with personal information such as social security cards and insurance information in a fireproof safe or safety deposit box. If you have unneeded documents with personal information on them, don’t throw them in the garbage. Invest in a cross-cut shredder to destroy the documents completely. Keep an eye on their financial activity. If you see any activity that looks suspicious, report it immediately. Encourage them to keep important documents such as social security cards or Medicaid cards OUT of their wallet. It is much easier for someone to steal your identity if these items are lost or stolen. Try to avoid putting outgoing mail in your mailbox with the flag up. This makes it much easier for thieves to steal checks, bank statements, etc. Inform them about common schemes to look out for. Click here for a list of the IRS “Dirty Dozen” list of schemes to be on the look for. As your insurance Advocate, our goal is to keep you and your family safe. We hope that these tips will help to ensure that your elder family members are informed and protected from becoming victims of identity theft.